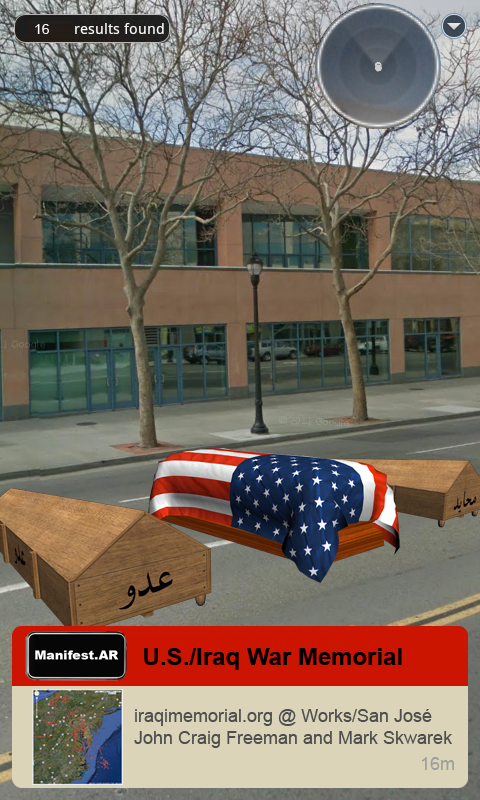 iraqimemorial.org is a participation-based conceptual project launched in 2007 as an internet platform for artists, designers, and architects to propose concepts for memorials to the unrecognized civilian casualties incurred during the ongoing conflict in Iraq. 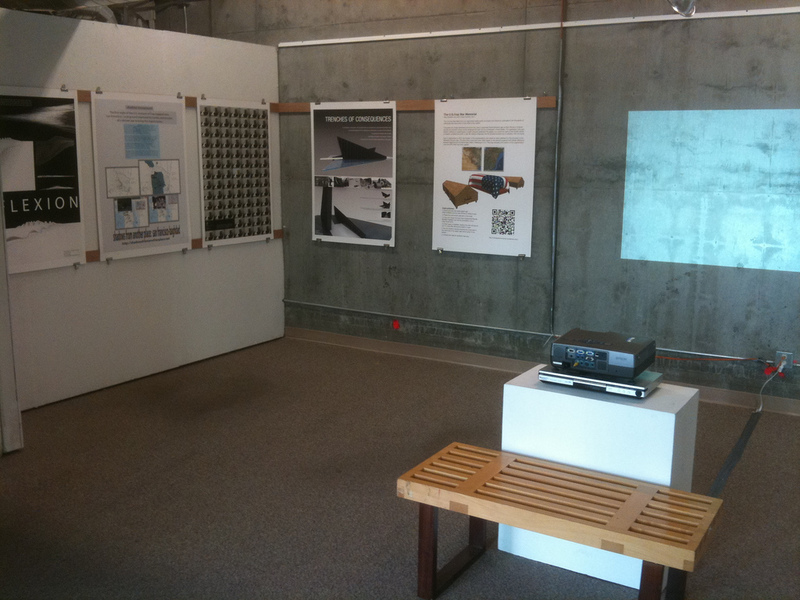 Works presents an exhibition of plans and responses selected out of the pool that now exist on the iraqimemorial.org site. The proposal guidelines encourage participants to use a wide range of locations and mediums to create collective memory and unity, drawing upon traditional and expanded ideas of memorial. iraqimemorial.org is an effort initiated by media artist Joseph DeLappe to call upon the collective creative community to consider the cost of war from all sides. 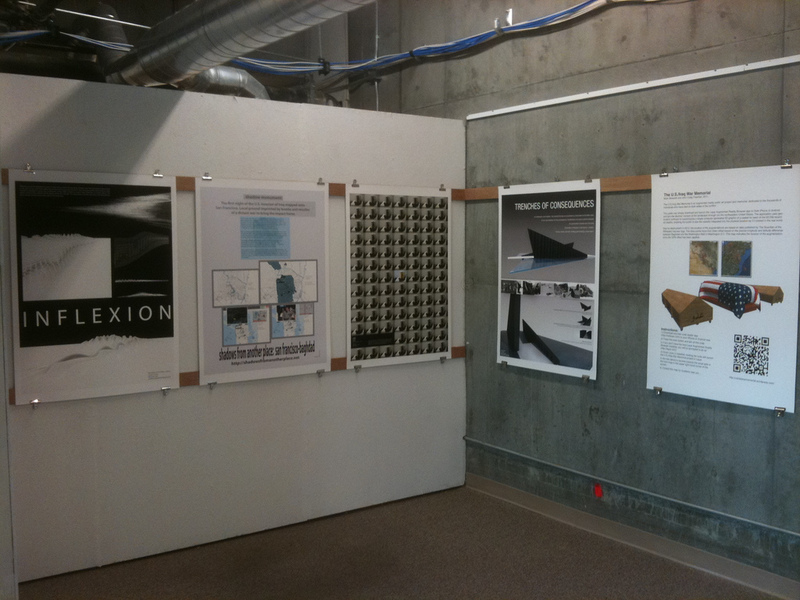 The exhibition at Works presents a selection of 54 of the most striking submissions as selected by two juror’s reviews. Featured projects span a range of creative practices including: architecture, social media, geomapping, performance, video and the visual arts. The U.S./Iraq War Memorial has been included in the iraqimemorial.org Commemorating Civilian Death project. The purpose of this project is to honor and commemorate the deaths of thousands of civilians killed since the commencement of “Operation Iraqi Freedom” on March 19, 2003; to establish an Internet archive as a living memorial that will serve as a repository of memorial concepts; to mobilize an international community of artists to contribute proposals that will represent a collective expression of memory, unity and peace; to encourage the vigilance of contemporary memory in a time of war; to stimulate an understanding of the consequences and costs of “the war on terror”; to support the moral imperative of recognizing the deaths of Iraqi civilians; and to create a context for the initiation of a process of symbolic, creative atonement. Here is some documentation from Union Square taken February 12, 2011. 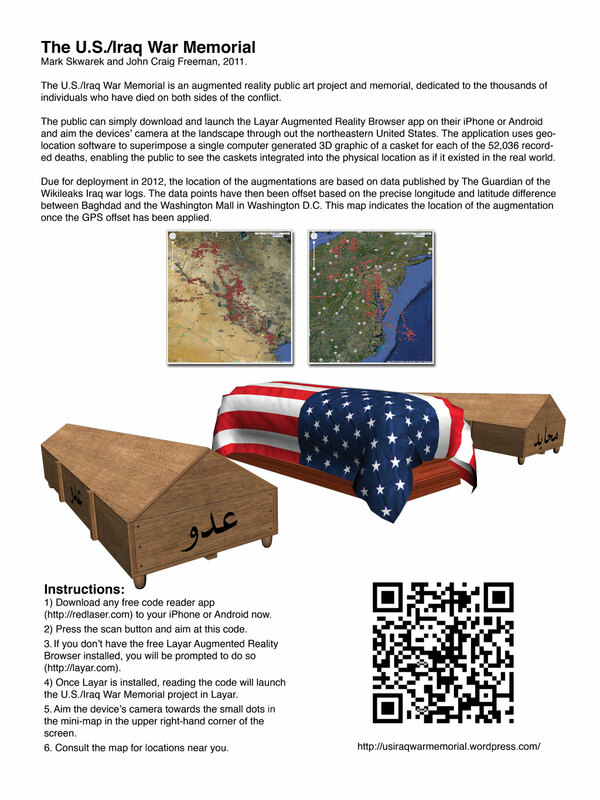 Here are some images of the U.S./Iraq War Memorial augmentation models. 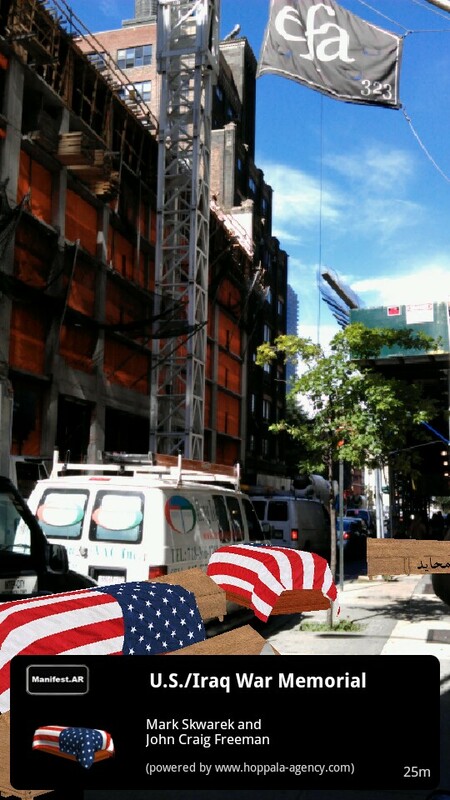 The U.S. models is meant to allow for the re-envisioning of all of the flag draped caskets which were concealed from the public’s sight due the the government ban on photographs of returning war casualties during the war. 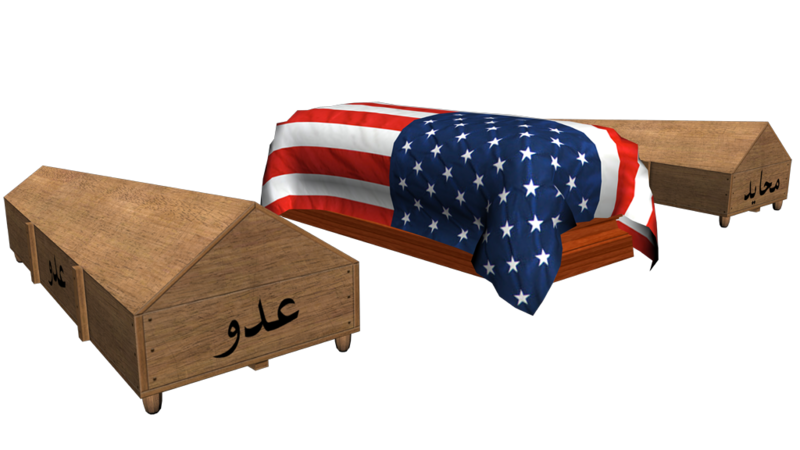 Our research indicates that throughout the Middle East, in most cases, the deceased are buried wrapped in a simple white linen shroud encased in the most humble, unassuming plain pine casket possible.